Developer: Stingray Music USA Inc. In May of 2014 a message was displayed to users within Karaoke stating that the service would be shutting down on August 15, 2014. No reason has been publicly stated for the game’s cancellation but it was likely due to low sales of Karaoke Passes, the end of licensing with Stingray/The Karaoke Channel or a lack of interest from sponsors who Microsoft expected to pay for in-game branding. Those who had previously downloaded Karaoke may still find it in their Xbox Purchase History and be able to add it to their download queue. The package will download to the console but upon launch it will attempt to connect to a server and eventually time out with an error message. The official Karaoke Facebook account has also since been deleted. 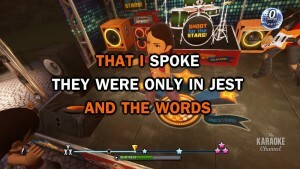 Karaoke was a free downloadable title available on the Xbox Live Marketplace that granted users access to a library of over 8,000 songs maintained by The Karaoke Channel. 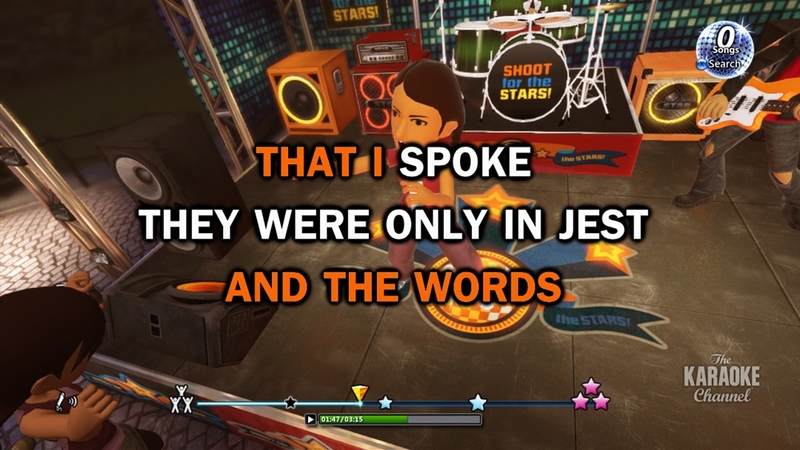 An Xbox 360 headset, USB microphone or Lips microphone were required to sing and Kinect was also supported for pose matching and score bonuses. 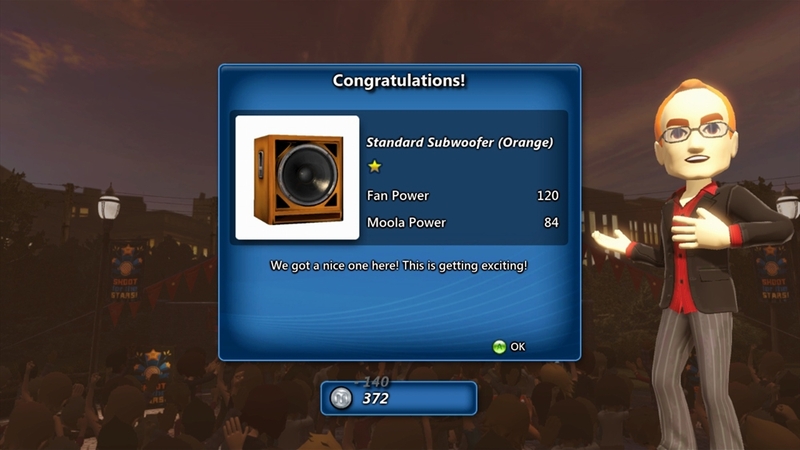 A leveling system encouraged players to keep singing, awarding both Fans and Moola to unlock bonuses, random stage items and new venues which themselves add more score bonuses. 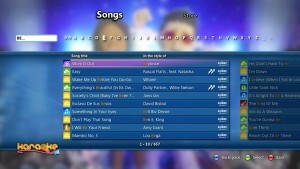 Five songs were provided for free and changed on a daily basis (usually based around a theme or holiday) to give players a chance to try the game. 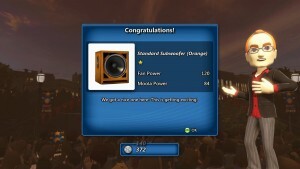 This is essentially a demo of the game but level progress can still be made and Achievements are even awarded for playing a certain number of free songs. Sponsors could also pay to feature their own logo, stage and song in the game which could be played for free. Playing these songs could unlock a score bonus to be used during other songs. At launch State Farm Insurance was the featured sponsor with the song ‘Like a Good Neighbor’. Rather than buying individual songs or “track packs” from a cumbersome and sprawling marketplace interface, accessing Karaoke’s full library of songs required a Karaoke Pass. Much like a real karaoke bar, the pass grants access to the catalog in hourly chunks. The smallest allotment is two hours which costs 240 Microsoft Points ($3) with stops at six hours ($5) and twenty-four hours ($10). All songs are streamed as they start so there’s no worry about hard drive space or downloads. Once a pass is purchased a timer can be found throughout the game counting down the minutes remaining. These minutes don’t stop if you leave the game and as you near the limit you will be prompted after most songs to add more time. It is not possible to queue up a song that is longer than the time remaining on a Karaoke Pass. The in-game interface allowed users to search for songs with an auto-complete function that showed results for both artist and song title. Browsing allowed users to peruse numerous genres including sub-categories like ‘70’s Classic Rock’. A Top 100 category allowed quick access to new and popular songs. Once a desired song was found it could be added to a favorites list, you could look over the lyrics or add it to the song queue. The entire catalog/search/queue interface could be accessed at any time, even while singing, across the top of the screen. Launching the SmartGlass app on a supported tablet or smartphone would load the Karaoke Remote interface. This allowed a user to search and browse the catalog (though with limited genres), view lyrics and add songs to the queue without having to look at the TV or use an Xbox 360 controller. 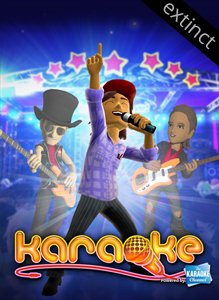 On June 19th, 2013 a promotion between The Karaoke Channel and game tracking service, Raptr, was announced to reward players with Karaoke themed Xbox Avatar items. The items were given away and remain available to purchase on the Xbox Live Marketplace as of this writing. Companies: iNiS Corp., Microsoft Studios, Stingray Music USA Inc.